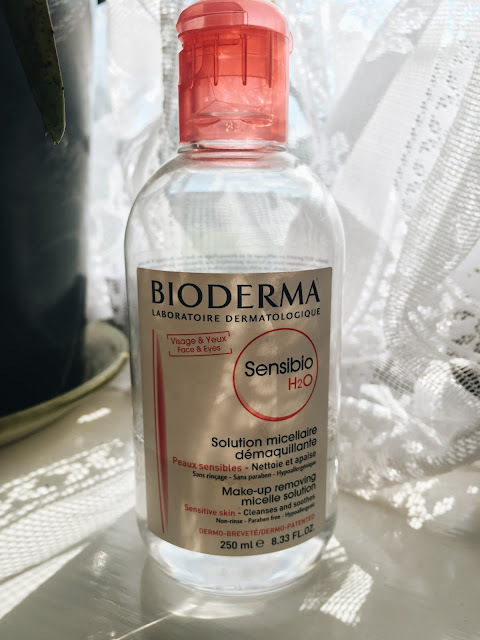 Review: Bioderma Micellar solution - Daisy Chains. When it comes to the end of the day, taking off your make up is an important part of the getting ready for bed process. It not only saves your bedsheets from nasty make up stains but also is obviously better for your skin. Across the years of wearing make up, I have experimented with both using make up wipes from a variety brands to make up removal lotions, oils and the latest hot product-- Micellar water. I've still not decided which method of make up removal I like the most, and I still use wipes now and then with an added dash of micellar water on them as I enjoy their fragrance a lot. In the past, I've made my way through bottles and bottles of the Garnier Micellar water. What really drew me to the concept was the fact that you got such a big bottle that would last ages because of the amount of product that you needed per make up removal was so minimal! In addition each bottle of Garnier Micellar water only set me back £4.99 for 400ml. However, upon becoming more invested in reading skincare/makeup blogs, I saw that literally everyone had been hammering on about how great the Bioderma Micellar waters were so I obviously had to give them a try. I remember picking up this bottle on a make-up shopping trip down oxford street (where I spent too much money on unnecessary purchases) in a boots for £10.50 for 250ml which is hell lot more than what I was paying for the Garnier ones. Nonetheless, I was tempted by the rave reviews and the price of the product was no longer powerful enough to deter me from buying it. 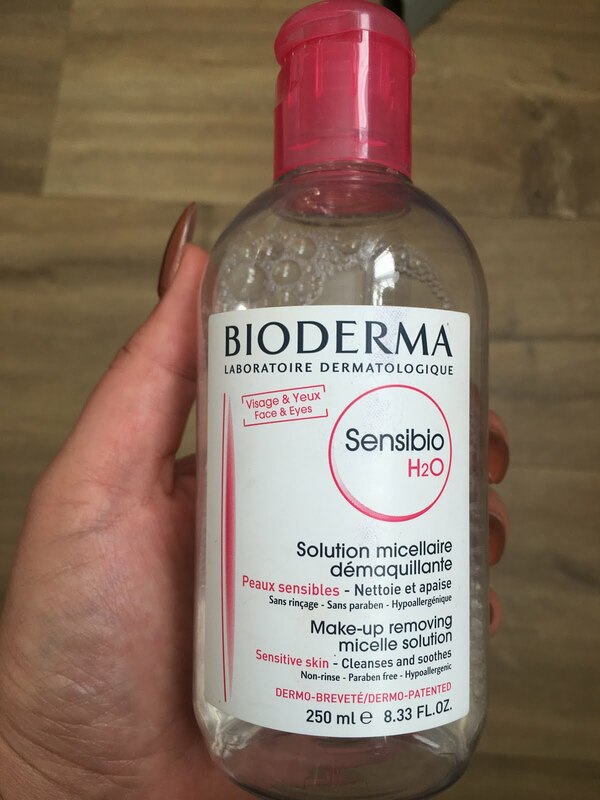 Like the Garnier Micellar water, the Bioderma sensitive micellar water is fragrance free. In fact, although both are fragrance free, I observed the Garnier micellar water to have a some what weird scent to it when it is applied to cotton wool. The Bioderma one the other hand has NO SCENT at all. It doesn't even make the cotton wool go funny, which is great because I'm so particular when it comes to scents. Having used the product to get rid of my make up, I've observed that it does a great job in taking off all of my make up like a magnet and is true to the packing-- it is really gentle on the skin! Due to this, you only needed a few drops on a cotton wool pad to get a make up free face. I especially loved to use this product with wipes as it gave them a bit more moisture to do their job better and I like the fragrance of make up removal wipes as some make me feel really refreshed. However, although this is an excellent product and I can't fault it in any way at all, I just don't see the hype. It's great and all but having used other Micellar waters in the past, I cannot say that this product is any better than the others? They're all equally as good, and some even cost less. Now that I'm almost at the end of the bottle, I'd love to repurchase this in the future. But, it's not something I'd die with out and would happily purchase cheaper alternatives when I'm short of cash and purchase this when I have more and want to splurge.